Wealthy socialite Olivia Barton never imagined her fiancé would disappear on what was supposed to be a routine business trip. She's even more heartbroken and confused when a hired private investigator tracks him half a world away, to a seaside town in Colombia. But the country has recently been ravaged by a massive earthquake and deadly tsunami, shutting down outside communication and making travel all but impossible. Still, Olivia is determined to make it to Colombia to find the answers she so desperately seeks. What she needs is a guide - a mercenary. Crystal learned long ago that love brings only pain. Feeling nothing at all is far better than being hurt again. She guards her wounded heart behind a hard exterior and carries within her a deep mistrust of men, who, in her experience, have only ever used and taken. Then Gabriel Dalton walks into her life. Despite the terrible darkness of his past, there's an undeniable goodness in him. And even though she knows the cost, Crystal finds herself drawn to Gabriel. 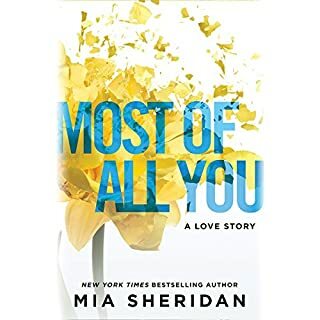 Another hit by Mia Sheridan! As children, Jessica Creswell and Callen Hayes's friendship was an escape from the darkness that surrounded them at home. Then one day, Callen never returned to the secret spot where they'd always met. Jessica, who had no way to find him, was heartbroken. 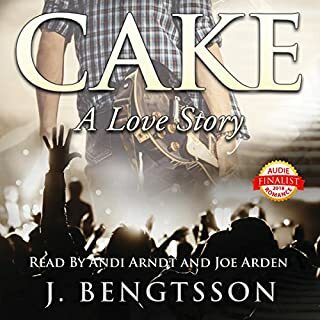 Years later, she's living in Paris and working as a translator of ancient documents, and Callen has found fame and fortune as a musical composer, when their paths collide once again. A companion (alternate POV) novel to the USA Today best-selling book Leo. Does everyone deserve a second chance? Even someone who lies and deceives to get it? Do we all have a second chance coming? Even if we play a part in our own destruction? How hard would you fight to have a second chance at love? A second chance at life? Another chance to tell your own story? Every love story has two sides. Evie told hers. This time it's Leo's chance. This is a POV novel of Leo (Leo should be listened to first). 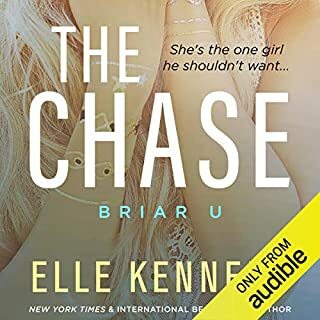 New Adult Contemporary Romance: Due to strong language and sexual content, this audiobook is not intended for listeners under the age of 18. 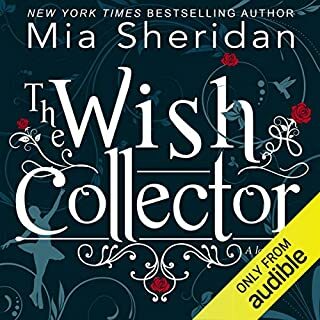 ©2013 Mia Sheridan (P)2015 Audible, Inc. Gritty, deep and makes your heart beat. That Leo was so afraid of showing who he really was for fear of judgement and she loved him anyway. I enjoyed Leo but felt it was missing the edge of many stories I enjoy. Meaning I could put the book down. After I read reviews of Leo's chance I was in the same story as Leo. I hate when authors try to write the counter point of view and end up with the same story. Take Note Autors please! If you are going to write in others pov please bring in information we have not already read. If you could play editor, what scene or scenes would you have cut from Leo’s Chance? The story could have been saved if it would have continued on from where Leo left off. It was interesting to read of the accident but then I felt I was wasiting my time rereading Leo. Loved Leo's POV. It was the story that was in Leo's voice and it was great. Not like some of the other books that had a males POV where it was repeated from the 1st book. Although some of it was duplicated not so much as if you were listening to the same exact story. Very different POV. What did you love best about Leo’s Chance? Which character – as performed by Joe Arden – was your favorite? This is a feel good story. It has so many factors which could have caused major dramatics, but they're handled with grace. Steve is a 39 year old HIV-positive man who lost his life partner. Tanner is a socially awkward virgin who is in love with his friend's dad (Steve). These two smoothly ease into a relationship and handle everything maturely. I'm a fan of not having manufactured drama. I love the sweetness. McFarland's Farm (book 1) was better for me, but I do recommend Jesse's Diner to someone looking for a cute, pleasant, lovable read. This was one of the best character point of view follow ups I have ever listened to. Mia Sheridan is amazing at weaving her stories. I love everything she writes. Great listen I highly recommend listening after you listen/read Leo. Leo's POV adds another dimension to Leo's story, from Evie's POV. What this man endured as a teen is inexplicable. How he survived is nothing short of amazing. I credit Leo himself and Dr Fox for his acceptance that he is worth it. It is sad he was unable to have the father-son relationship that I think they both desired. As for Lauren, "what goes around comes around", and may she rot in hell. Their story is not without difficulties but when they truly discover each other again their lives become what they always hoped for and dreamed of. 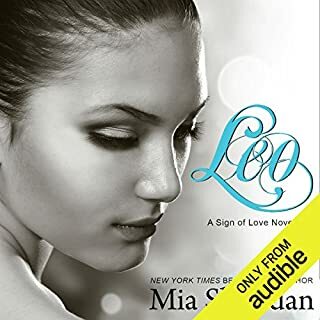 I loved book 1, Leo; but it was amazing listening to Leo's Chance and getting a glimpse of what was going on in Leo's head and getting more story of what Leo went through in their time apart. I cannot believe it took me so long to listen to this series! 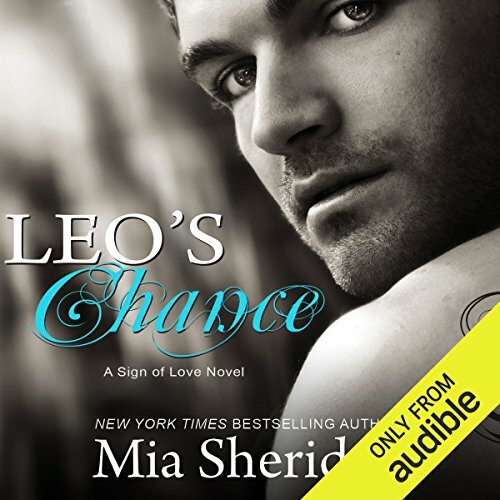 I definitely recommend Leo and Leo's Chance!!!!! Joe Arden is an amazing narrator! Like his version better then her’s. Loved Leo in this book as in the other. Book answered questions from the first book. I love that real life is written with an everyday overcast; that we can find our stories in fiction and see a phenomenon outcome! I’ll rave about this book for years to come!